Oracle announced its intent to acquire marketing automation vendor Eloqua for $871M USD, which is about a 30% premium on Eloqua’s closing price Wednesday and quite the multiple on a revenue run rate of just under $100M. Oracle has been on a shopping spree over the past year to build out a customer experience (CX) offering and to rapidly gain cloud market share, so this move isn’t all that surprising really. 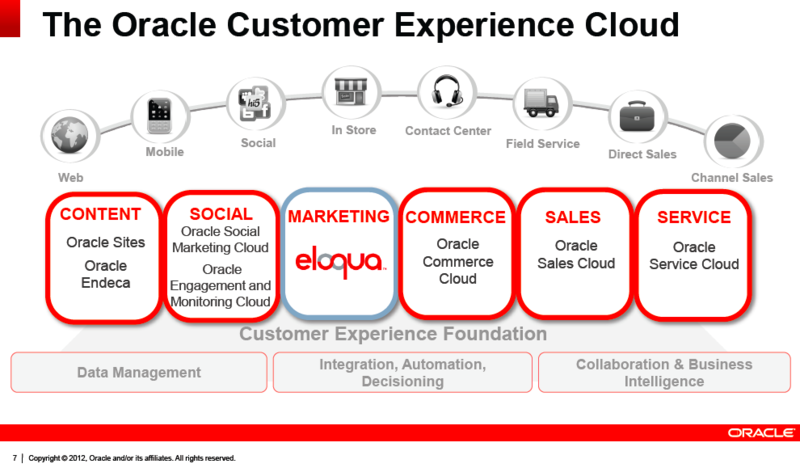 Relationship marketing is a key part of any CX strategy and was a functionality hole in Oracle’s cloud CX suite so Eloqua seems like a natural fit. Oracle’s current marketing automation platform, Siebel, is on premises and really was not seen as a contender when compared with the newer cloud based platforms like Eloqua, Marketo and Silverpop. The solution’s core is still email, which may seem surprising in today’s social web driven world, but frankly email still works. There’s quite a bit more to these offerings than email though. The core of the next generation part of these newer marketing automation systems is about better targeting, tracking behavior and managing campaigns. It’s really about revenue generation, which means that an automation solution has to help marketing deliver better, more qualified leads to sales. The deal impacts Oracle’s competitors, particularly salesforce.com, IBM, Microsoft (MarketingPilot), and SAP. In fact I’m a little surprised that the headline didn’t read “salesforce.com acquires Eloqua”, especially since there is a substantial overlap between Eloqua’s and salesforce.com’s customer base and salesforce.com’s marketing cloud does not include a marketing automation solution. Salesforce has focused its marketing offering only on social marketing and apparently, at least for now, has no plans to expand past that. Microsoft recently bought a small marketing automation vendor, MarketingPilot, although currently the solution is more focused on marketing / advertising agencies than on end user business customers. That doesn’t mean that its not being re-targeted though. IBM, who is a leader in marketing solutions, doesn’t have a marketing automation platform, so perhaps it will be looking to acquire one of the remaining vendors. SAP seems happy with its current solution but one has to wonder if this acquisition might not be the push needed to put it in the market for a more robust solution as well. The deal impacts Marketo, the number 1 competitor to Eloqua’s platform offering. With Oracle’s sales machine behind Eloqua, it’s likely that its market penetration will accelerate rapidly as long as Oracle can keep its sales force focused on the buyer, the CMO, versus its usual buyer, the CIO. It seems to me that Marketo is a prime acquisition target at this point, but who exactly the buyer will be is not so clear. 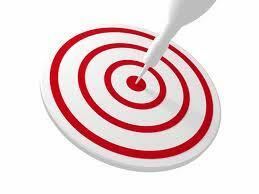 There are other targets available, like Silverpop or some of the older email centric platforms like Responsys. For Eloqua customers I’d say overall this is a good situation, Oracle provides gains financial stability, more scalable data centers, etc. Those customers that choose will also get access to other CX solutions that presumably will be integrated with Eloqua, particularly around analytics, social and commerce. For Eloqua customers that are not current Oracle CRM customers though, there will be some concern. Oracle has stated that it will continue to support the integrations to the other platforms like salesforce, Microsoft and SAP, but the proof for customers will be in the continued execution. This is a great move for Oracle, it adds an important piece to its CX cloud offering. The question now is which vendor(s) respond with additional acquisition(s) in this market?